CAPITAL SPENT: Tony Abbott and his team’s failure to honour some of their pre-election commitments have cost them dearly in terms of public trust. If Tony Abbott and his ministers had stuck true to their word they would not find themselves so unpopular with voters, after less than a year in office. Abbott & Co who are the real traitors? Abbott & Co no credibility installed by the power of Corporations and Corporate owned media as distort filter or black out debate information for an agenda that appears at odds with the National Interest. Never mentioned never reviewed the three decades of restructuring of the global economy the transfer of national wealth profitable Government assets to the private sector. Wonder why public purse of many country growing poorer asset selloff lost profits reduced services increased unemployment as Corporations increase their profits by exporting jobs from the developed countries to the third world. Corporations shift profits to minimise tax requirements and demand incentives subsidies & governments facilitate. Decades of downsizing amalgamations & mergers mega coporations reduce real competition small business workers farmers all struggle against corporate power. secret negotiations trade deals & globalisation agenda. Governments complete the undermining the destruction then abdicate to Corporations to write policies and trade deals with no loyalty to nations peoples only PROFIT. Democracy is now only an illusion and citizens continually force fed divisive propoganda to further negate any oppostion. Margaret, Australia has never, I repeat, never, been a democracy. We are what is best described as a BALLOTOCRACY - meaning that once every three (or four at state levels) years we elect a cohort of politicians that some call representatives, after which they, the politicians, have monopoly power over the entire legislative process. The people, the demos!! !, just have to sit around, grin and bear it. That being so how can such an arrangement be described as democracy? It shouldn't be because all it is, in fact, is ballotocracy - meaning the people, the demos!! !, are only ever permitted to elect their so-called representatives, not have a say in whether or not particular legislation should become law. For us to be described as a democracy the voters, the demos, should have the right to challenge legislation, as the people of Switzerland and about half the states of the United States do, through a constitutionally guaranteed Initiative & Referendum process. If you wish to see more on this then write into your google bar - "POPRZECZNY + BALLOTOCRACY" and my 10,000-plus word article on this pertaining to Australia will come up. Click onto it and consider my case which is also historically based. Also, do not hesitate printing into your google bar - INITIATIVE & REFERENDUM wherein this is outlined on a number of sites with respect to about half USA's state legislative arrangements, not to mention many cities and counties. 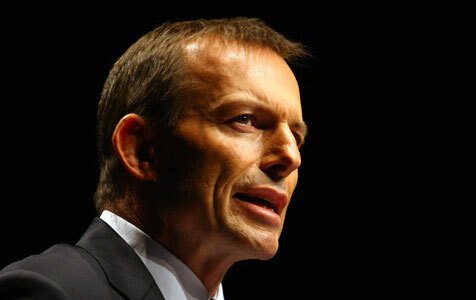 You, I guarantee, will be both shocked and enlightened on your valid contention about Australia where "Democracy is . . . only an illusion. . . ." Well done. Joseph Poprzeczny. Award an act of generosity?